NEW YORK, N.Y. – September 24, 2018 – Released late last week, Facing Addiction in America: The Surgeon General’s Spotlight on Opioids, calls for a cultural shift in the national conversation surrounding the opioid crisis. The new report is U.S. 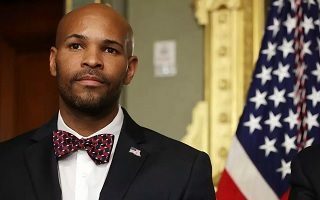 Surgeon General, Jerome Adams’ latest update on opioid addiction and provides the newest data on prevalence of opioid misuse, opioid use disorder and overdoses. It brings forth recommendations and actions that can help prevent and treat opioid misuse, while promoting recovery for those who are struggling with opioid addiction. The Surgeon General also released a digital postcard, highlighting tangible actions that all Americans can take to raise awareness, prevent opioid misuse and reduce overdose deaths. These include urging companies to reduce work-related injuries that could lead to opioid misuse, and encouraging family members to carry naloxone and be trained on how to use it. “Be supportive (not judgmental) if a loved one has a problem,” the report advises. Despite the fact that effective treatment for opioid use disorder exists, only about one in four people with this disorder receive any type of treatment. Yet for a variety of reasons, including stigma, inability to access or afford care or refusal to stop misusing opioids, a treatment gap remains. In addition, the existing healthcare workforce is understaffed, often lacks the necessary training and has been slow to implement medicated-assisted treatment, as well as prevention, early identification, and other evidenced-based recommendations.